So you’re at the bar, and the bartender’s got the hots for you, maybe.. pretty friendly you know? 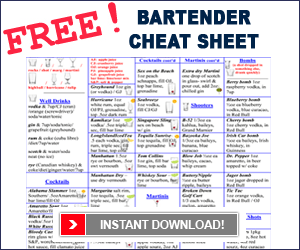 Or buddy-buddy maybe, and the bartender shoots you some free drinks. The problem is, how much do you tip? Do you tip the cost of the drink? As if you’d already paid for it? 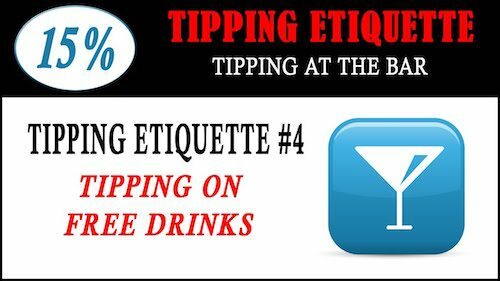 Do you just give the normal tip you would have given on a regular drink? Here’s the rule: you tip 50% of what the drink would’ve cost you, plus your tip. So, you’re saving yourself 50%, and the bartender’s happy because he got a good tip, and you get free drinks.